Please call us with your charter flight needs. We will be happy to provide you a quote. NAFC provides private air charters flown on your schedule to your locations that often are not serviced by scheduled airlines. Typically, air charters carry up to three persons anywhere within a 400 mile radius of Baltimore-Washington metro area arriving at your destination by mid morning and returning back by early evening. So forget the airport hassles and hire your own private aircraft and FAA appointed pilot to the location of your choice. For business meeting requirements, the savings in frustrating traffic jams, overnight hotel requirements, fatiguing self travel and critical available management time savings are too clear to be overlooked as viable option to more efficient and economical business employment. The use, for personal and recreation events, is unlimited. Day trips to the beach now will take under an hour vice hours spent in fatiguing road traffic. Trips to Ocean City, MD are approximately 30 minutes, depending on winds, vice 2 hours in a car without traffic! Day trips for family adventure are just one area often used. For example, Niagara Falls can be toured fully from the air and on the ground without spending a night away from home. … Arrive relaxed at your destination! NAFC’s Air Charter service is based at the Lee Airport in the Annapolis, Maryland area; however, client pick ups can easily and affordably be made from any of several local airports in surrounding Howard, Prince George's, Baltimore, Montgomery, and Anne Arundel Counties Additionally, if required, transportation at destination can be arranged by the NAFC staff. Two to three times cost of an advanced purchase ticket. Same price as with advanced notice. Same price for one passenger or three passengers. Connecting flights for smaller airports. Possible departure delays for larger airports. 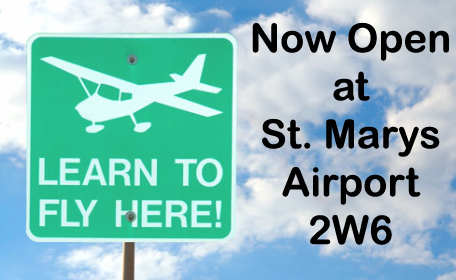 Direct service up to 400 miles without delays at smaller airports. Check-in, security, and boarding: 60 minutes or more. 20 minutes no luggage, 40 minutes with luggage. Direct airline service only available to hub airports. >5000 charter service airports vs ~1000 airports with airline service. When requesting a quote, your estimate will be based on nautical miles, fair weather visual conditions and includes any required avoidance of restricted areas. In the event of inclement weather, the trip will be rescheduled for better weather conditions at no charge. One way flights will require billing the occupied leg and any unoccupied legs. In some cases length of stay during a round trip may incur wait charges warranting purchasing two separate one way charters. During company repositioning from drop off or to pick up. At destination from arrival to departure. $40 per flight on new routes or with new passengers. Difference will be billed for fuel purchased off base (not at ANP) at higher rates where needed. Charged at larger towered airports, or when transient for several hours. Flight time and cost are estimated. Actual costs are based on weather conditions. Occupied or empty leg costs will be applied to total a round trip cost.